Visiting Italy can be exhausting - trying to fit in as much beauty, culture, and food as you can into a week or two (Rome! Florence! Venice!) doesn’t leave much room for downtime. The country holds more than 60% of the world’s entire artistic patrimony, so even with more time, there are plenty of other must-see towns on the tourist circuit, museums to visit, piazzas to admire – and does one ever really finish seeing everything there is to see in a place like Rome? When you get “museumed out”, your feet hurt from all the walking, and the crowds and traffic get to be too much, where can you retreat to for a few days that’s easy to get to and affordable? 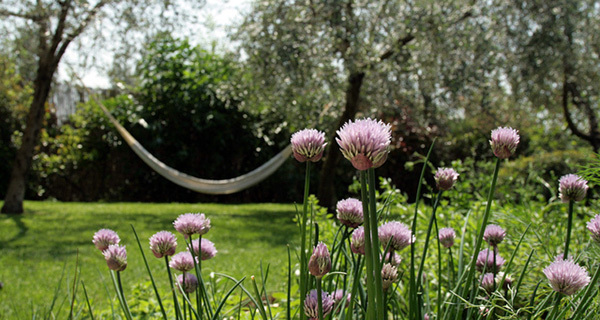 Our friend Giulia’s yoga retreat in the countryside near Rome offers accommodation to individuals and couples looking for an escape on a budget. For those of you who don’t practice yoga, don’t click away just yet – you are definitely not required to do yoga while you are there. It’s also a great place for people who want a quiet, calm place to stay for a few days and be allowed to just do nothing. 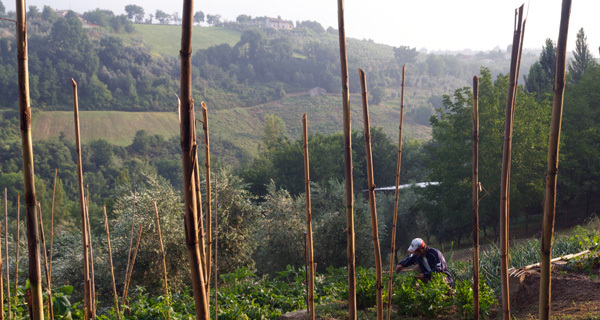 Agriturismi (farm stays) abound in Italy. Many rent by the week only, or require that you have a car. They range from the rustic to the luxurious. 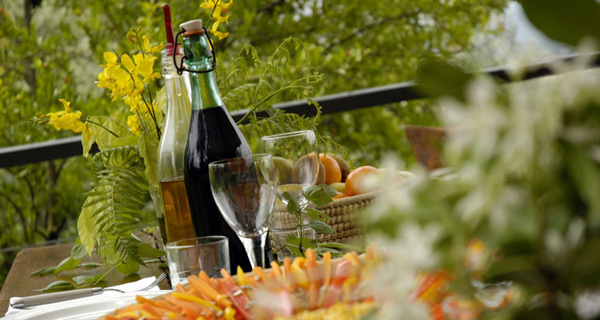 Giulia’s is an agriturismo – she produces her own oil on the grounds – and offers meals included, if desired. 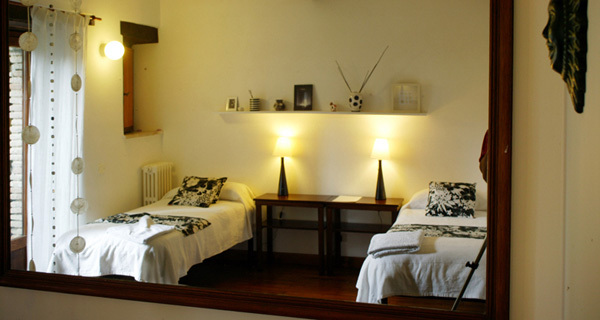 Giulia’s place – called In Sabina – is a little different from your typical agriturismo. Rather than the usual “rustic” country look, Giulia’s place is stylish and artistic, while still retaining some of the quaint country charm. It’s simple – nothing fancy – but well-kept, clean, pleasant, and oh-so-relaxing. Giulia, originally a Londoner, speaks perfect English (and also Italian and French) so you’ll have the relief of being able to easily communicate. Food is available on-site which means you don’t have to grocery shop in advance, nor would you need a car to go find food. A certified “Veggie Hotel”, the food is all vegetarian, mostly organic (much of the produce grown on the property itself), and Giulia can provide food that takes into consideration special dietary needs (vegan, lactose-free, gluten-free). In Sabina is accessible by train from Rome to Poggio Mirteto (just over an hour) and if needed, they can arrange pickup from the station to the house for €25 each way for up to 3 people. Once at the property, you’re surrounded by olive groves and relaxing views of the surrounding hills. 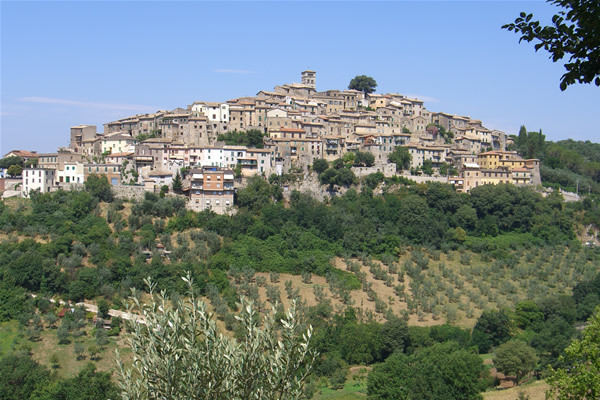 The closest town is a nearby medieval hilltop village called Casperia. 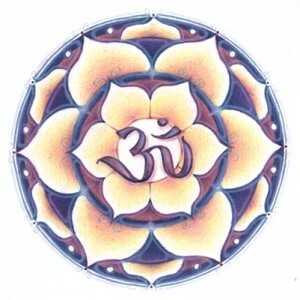 If you’re a yogi/yogini, participate in a mini-retreat with a group and have your meals together. There’s a wonderful outdoor yoga platform overlooking the gorgeous landscape, as well as an indoor yoga room that also has a lovely view. If yoga’s not really your thing, the surrounding countryside provides some great easy hikes. Walks and excursions to nearby hot sulphur springs, medieval sites, or local festivals can be organized. The on-site swimming pool is great for relaxing or cooling off in hot weather. Since it’s such a tranquil setting, writers and artists will find a haven here as they look onto the olive and fruit trees and the lily pad-studded stream. There’s not much around but as Giulia says, “that’s the beauty of it”. 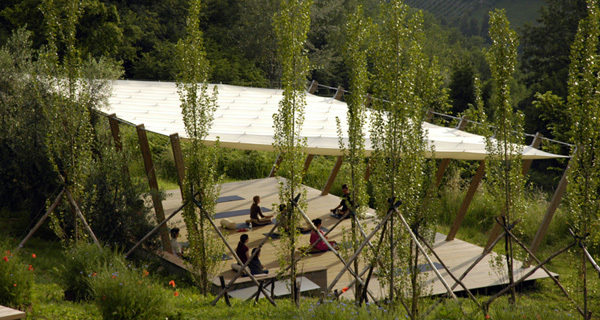 And for those of you simply looking to recharge the batteries during an intensive activity-packed trip to Italy, In Sabina is a great spot to meditate, read, nap, or just take in a bit of nature – which, we think, will make you appreciate the rest of your busy trip all the more. Chelsea may currently be better known for housing slick European bankers and their über-coiffed wives, but at its heart it remains one of London’s most beautiful neighbourhoods, steeped in history. You can eat anything from high-end alfresco Italian (Manicomio, Duke of York’s Square), to mid-priced Lebanese (Al Dar, corner of Lincoln Street), to the classic “Full English Breakfast” for under five pounds (Mona Lisa cafe – cheap, a little grotty, but one hundred percent authentic). There are a few boutiques amongst the mid- to high-end shops: Austique specializes in hand-picked accessories, and French Sole, founded in a Chelsea basement, originated the ongoing trend for ballet flats. But the more adventurous shoppers are to be found stalking the cluster of charity shops (thrift stores) at the World’s End, for the best rich-lady castoffs in town. Parallel to the Kings Road, the embankment to the River Thames houses hidden delights, most especially for those with a penchant for architecture and juxtaposition. From outside Chelsea Old Church, which dates from the twelfth century, one can directly gaze at one of Norman Foster’s modern international headquarters, one of the first glass buildings of its kind in London. Farther toward Sloane Square, past the hidden gem that is the Chelsea Physic Garden, Christopher Wren’s magnificent Chelsea Hospital (home to old war veterans, whom you’ll see walking about proudly in their traditional red uniforms) stands opposite Richard Rogers’ house on Royal Avenue – a perfect Georgian facade which the architect himself gutted and refurbished. The Kings Walk Mall, directly opposite on the bustling Kings Road, has the perfect drop-in manicure bar and speedy hairdressers. 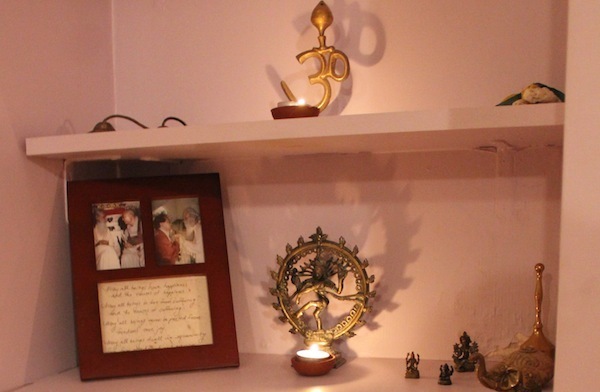 Yoga classes can be found at Triyoga (corner of Beaufort Street). And for a quick burst of nightlife, The Pheasantry houses a rather recherche’ jazz club in its basement music room, beneath its pretty decent pizza restaurant. For a little taste of Chelsea life at its most typical, one of its original 1960s denizens, Dina Wheatley, houses paying guests in her charming period house on Smith Terrace. On a recent trip to Paris I decided I needed to fit some yoga into my busy schedule of seeing apartments and meeting owners. I don’t know what compelled me, as I don’t even keep up a practice regularly at home. 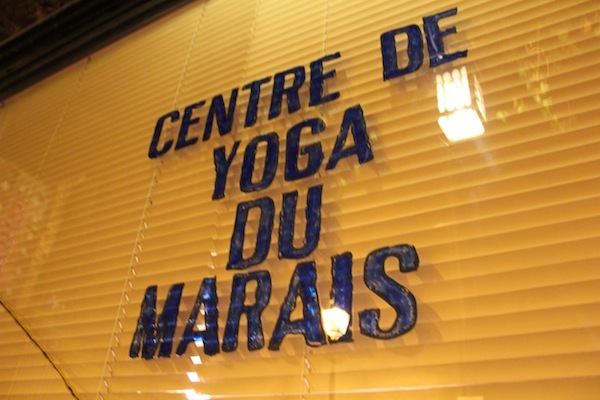 I literally arrived at Orly airport around 5pm and took a taxi straight to the Yoga du Maria Center for a 6:30pm class, suitcase and all. Sounds a bit fanatical, I know. The truth is, I prefer to think of Paris as a big red wine and chocolate eclair retreat rather than a place to cultivate inner balance. But aren’t vacations a good opportunity for breaking out of normal routines? It’s a great time to not just see the sites but to also try and incorporate other practices that at home we’re too busy, or too distracted, to do. Plus, it’s fun to do familiar activities in foreign cities and see how they compare. The owner of the center, Michelle, is an American expatriate who’s been Paris for ages. 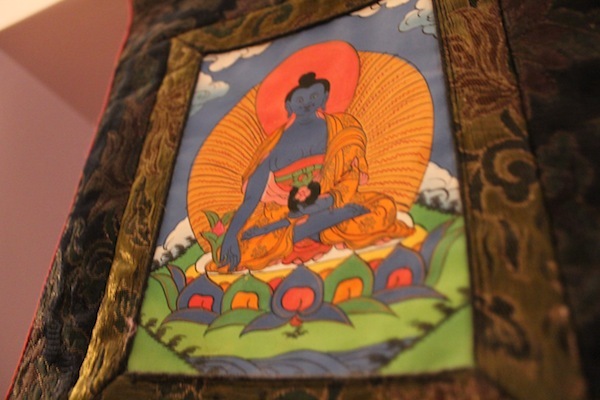 She and her other teachers conduct a nice range of classes every day in the Hatha style. They’re located centrally at 72, Rue du Vertbois in the 3rd Arrondissement. More info, as well as their schedule and prices, can be found on their website here. The following information comes from the Beehive Recommends Guide, which you can download for free here. Vicolo della Moretta & via Giulia (centro storico). Outdoor Sunday market, Fall to Spring.